Angeline is off roadtripping across the country and getting acclimated to a new way of life. She was sweet enough to ask me to step in with a blog post. I’m thrilled to be guest posting for her today. Due to unforeseen circumstances, News10's "Blogging 2.0" workshop has been moved to Thursday, July 28 -- same place, same time as listed below. If you already registered, your ticket will still be accepted for the new date. It's time to take your blog beyond the basics! 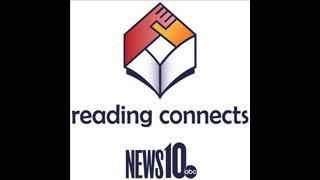 News10's FREE "Blogging 2.0" seminar will take place in Stockton on July 28 from 6 - 8 p.m. The most common reason that I've had for leaving a job is relocating. It all started when I was 18 and I had a Christmas break seasonal gig at the Gap near my parents house. I didn't have a car at the time and my college was 30 minutes away, so I left that job after 2 weeks (it took them almost 2 weeks to hire me in the first place when I got home from break). Not a "relocation" per se, but it was geographic. In the past five years, though, it's been OC to NYC to OC to Sac/Davis, and now to Miami. Sometimes annoying traits are something you can point out to a person to help them out (say, your best friend or kid brother). Other times, you just gotta work around it. While the traits I've covered the past several weeks can be grating, they're generally harmless, and are part of what makes our workplaces diverse and interesting. If everyone were just nice and well-behaved and well-groomed, it'd be a little creepy (Stepford Wives, anyone?). Check out parts one, two, and three of this series. We're on week three of annoying coworkers! We've already covered the downer, the bulldozer, the oversharer, and the eager beaver. Today's topic: people with annoying bad habits and backstabbers.